• Personalised trolley coin keyring in aluminium, custom made customization on both sides. 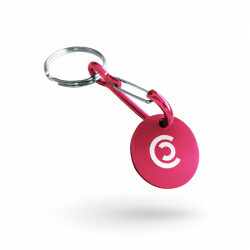 • Customisation of the trolley coin by laser engraving or imprint. Individual OPP bag packing. 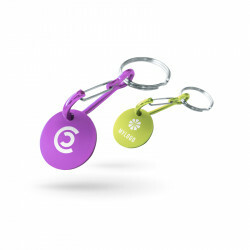 • Colouring by anodization and different keychain attachments are available for any trolley coin keychain.